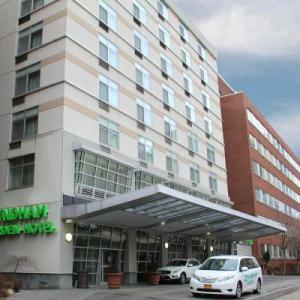 This 31-room hotel is in central Buffalo and just a 10-minute walk from the KeyBank Center. Guests can enjoy some awesome city views and the suites are equipped with a kitchen, living room with fireplace and a flat screen too. A real home from home close to the arena. l Lloyd "Cozy, spacious and clean. A bit above average for a boutique hotel. 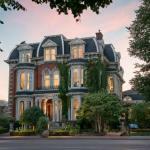 Liked the fireplace and..."
Guests at the Mansion on Delaware Avenue enjoy a stay in a restored historic mansion with 28 rooms in the heart of Buffalo center. All of the rooms are tastefully decorated and some even boast a spa bath. 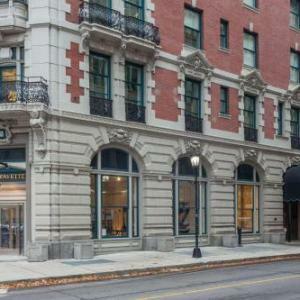 Service at this hotel is topped off by the personalized butler service. 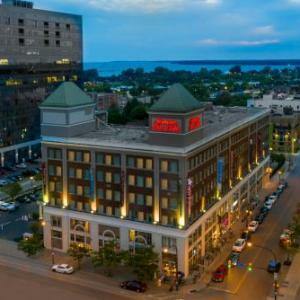 Just a 15 minute walk from the theatre district and attractions, this large 486 room hotel offers amazing Lake Erie views. The hotel's entrance and lobby area is beautiful with rooms fitted out with alarm clocks, work desks and coffee makers for the convenience of guests. l Kimberly S "Clean; comfortable rooms; great food; polite, helpful staff." l Steve "Hotel staff were excellent; room was big and comfy." 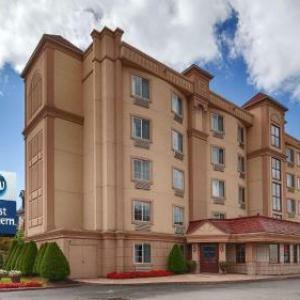 l Sue "The room was spacious clean and the service was top notch. 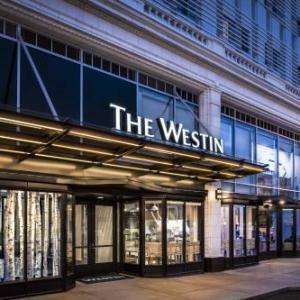 This hotel was excellent - we will be coming back again, for sure!" l Harry "Our room was fabulous, clean, comfortable and very welcoming. Thoroughly enjoyed our visit. Everything was great." l Nicki "I loved the building itself - the architecture was stunning and the way that it was decorated went..."
l Sarah "Excellent sized rooms with all the amenities. Great breakfast!" 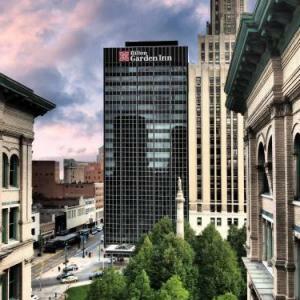 Looking for some things to do near KeyBank Center? 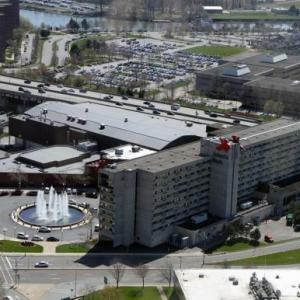 Click to view our full listing of bookable activities in Buffalo! The KeyBank Center is in Downtown Buffalo, New York, so you're within walking distance of loads of bars and restaurants. How can I spend a day in Buffalo before heading to the event? The third oldest zoo in the United States, Buffalo Zoo first opened its gates in 1875. Today, the $12 admission fee gives you access to see its hundreds of mammals, amphibians and birds. See the city from a Segway. Wheel around Buffalo and take in the sights while simultaneously enjoying a speedy Segway ride. Not ideal for those who are balance-challenged. Whether you have a genuine interest in military history or just want to check out some of impressive military ships on display, this is a great day out for all ages. 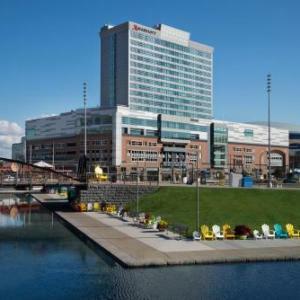 Where are the best places to eat and drink near the KeyBank Center? 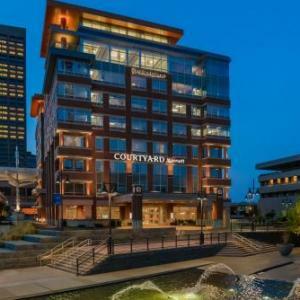 With its location right by the KeyBank Center, this place gets busy with those enjoying a beer before the game. There's a great vibe in here and it's a great place to go to get excited about the game. There's a basic bar food menu and a decent range of beers and alcoholic drinks. Not too far from the arena, you'll find this lively burger joint. It gets fairly busy and is great for a party atmosphere and a top notch burger. Burgers start at around $10. Hutch's is a little further out, at around 3.5 miles from the KeyBank Center. This is a reviewer's favorite and offers up some brilliant food. Large plates start at about $20 and there's a cocktail menu starting at $10. Is there anything else visitors to Buffalo should know? Buffalo gets a lot of snow over winter. If your event takes place in the snowy months, come wrapped up. However, visitors take note - an old law states that it is illegal to intentionally throw a snowball at someone's head in Buffalo. What's the best way to get to the KeyBank Center? You can drive to the KeyBank Center, which is located not too far off the I-190. If you would rather save on parking and gas (and you would rather not risk getting stuck in traffic), you can take the Metro. You can park for free at any of the Metro Park and Ride lots and take the Metro into Downtown Buffalo. 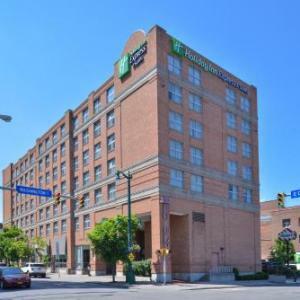 If you're visiting town for a concert or game, then you could stay at one of the hotels near KeyBank Center and simply walk to your concert. How much are drinks/food in the KeyBank Center? You can expect to pay from around $7.50 for a beer and $6.50 for a hot dog and fries basket. There are loads of food and drink concessions to choose from and the KeyBank Center has a surprisingly good selection of craft beers. You can get service to your seat too for many events. There are parking lots along Perry Street, Washington Street and Swan Street. Get there early to be sure of a spot. Parking prices range from $10 - $20 on game days or when there's a big concert on. There are several free WiFi hotspots around the arena, but you won't necessarily be able to connect from your seat. It's in designated hotspots only. If you're attending the venue for a Sabres game or for a special occasion, then for just $20 (with 3 days' notice) you can get your well-wishes on the video board in the arena. Awesome venue for being indoor. Great location, lots to do after a concert in terms of nightlife. Will definitely go again! 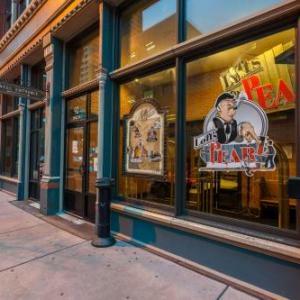 Liked: Location; no bathroom lines; short lines for food, drinks, etc. Liked: Everything - staff; cleanliness; performance as well. Disliked: Show didn't last long enough for me, but I could listen all night long! The atmosphere was great. It was my 1st time at the Keybank Center; we had excellent seats; employees were very friendly. Liked: The Toronto Maple Leafs won! Good venue tor World Championships. Small crowd was disappointing. Liked: Fairly new arena. Good sight lines and great atmosphere. Disliked: Music much too loud. Get rid of the organ. Long lineups for concessions needs attention. Easy to get to. LRRT right outside. Liked: I think the performer I was there to see made it the experience that it was, not so much the venue. Disliked: The fact that the male ushers would allow females to go up to the front of the section I was in and stand in front even though they didn't pay to be up there. Also disappointed in the fact that my husband couldn't go out to smoke during intermission - the man working the door was extremely rude when my husband asked if there was a designated smoking area. This is such a great venue and I applaud your service and staff. Liked: What a great place! Easy access; great neighbourhood; lots of drink and food vendors inside. My first and not my last visit. Looking forward to more great concerts. Liked: Great sound system and perfect size. We were at the Garth Brooks concert Sunday March 8. SPECTACULAR! First Niagara Center was great - easy to get around; friendly, helpful staff; wonderful experience.